It’s a profusion of talent: Paul Schrader directs a script penned by Harold Pinter, based on a novella written by Ian McEwan. The stellar cast includes Christopher Walken, Helen Mirren, Natasha Richardson and Everett. The sound score was created by David Lynch’s regular Angelo Badalamenti. To boot, the cinematography is signed by Dante Spinotti, who would go on to work on Michael Mann’s Heat and The Insider (1995 and 1999). Now you can catch the outcome on a shining Blu-ray reissue. What could rightly have been a case of too many cooks spoiling the broth is instead a glorious atmospheric mystery, teeming with malice. If “foreigners in Venice getting more than they bargained for” was a subgenre with Don’t Look Now (Nicolas Roeg) and Death in Venice (Luchino Visconti, 1971) as its most recognisable champions, then The Comfort of Strangers would sit triumphantly next to them. This is a Venice drenched in decaying sunlight, internecine shadows and crooked buildings. The plot is quite straightforward. A couple, Colin and Mary (Everett and Richardson) go to Venice in the hope of adding some spice into their hackneyed relationship. One late evening as they are seeking a snack, they bump into Robert (Walken), who invites them to his restaurant/bar. Later, they end up sleeping in his apartment overlooking the city, where they meet his strange and angst-ridden wife Caroline (Mirren). Robert circles the two visitors by stalking them and making up excuses to meet, always aided by his loyal and mostly housebound Caroline. 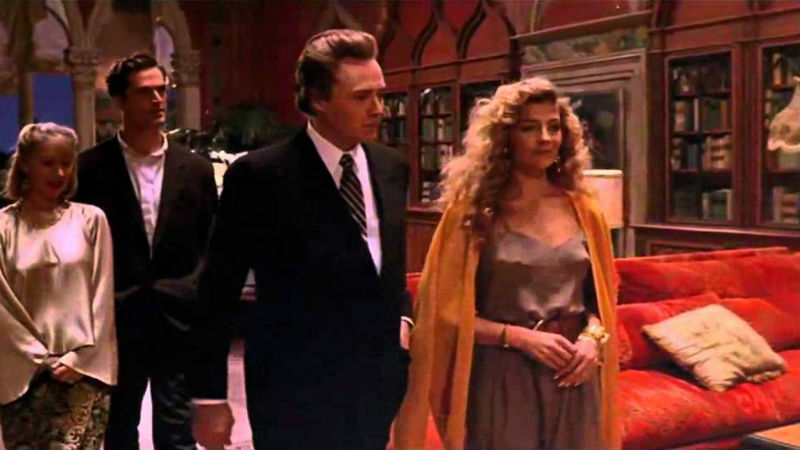 Walken’s performance is responsible for the film’s sense of mystery. Obsessed with his father, he repeats a strange monologue about his old man three times. 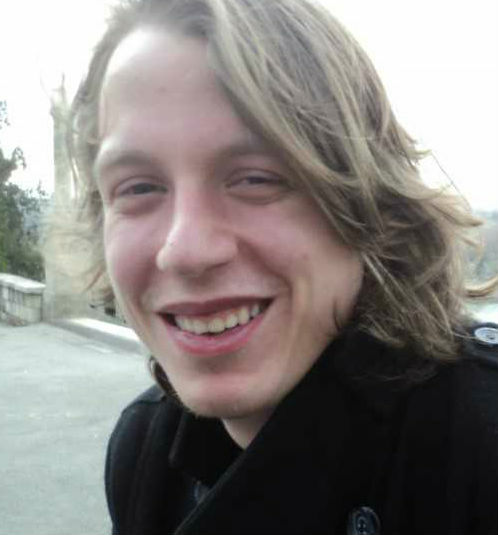 He frequently mentions twhere his father and grandfather were buried. His apartment is littered with antique. Walken imbues his characters with a lingering sense of malice. He is charming, yet dangerous. He regards himself as intellectually superior, and therefore entitled to horrific deeds, expressed mostly through his obsessive relationship with the past. His presence and patriarchal attitude towards both his wife and the visiting couple are stultifying. The collapse of the traditional power structures could trigger violence. Frustrated at his lack of influence in the modern world, he lashes out at whoever he can still hurt. He has contradictory feelings about sexuality. He expresses his profound hate of his homosexual tendencies at dinner, and yet seems to be entirely comfortable at the local gay bar. The final denouement is very abrupt, borderline anti-climactic. The Comfort of Strangers sustains a remarkable sense of brooding evil throughout. 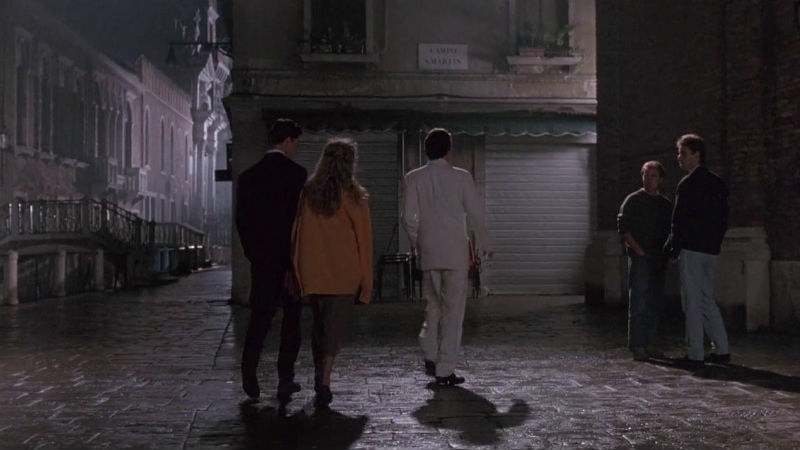 The superb cinematography and art direction lend a helping hand: the contours of Venice with its never-ending alleyways and dark corners envelop and confound our protagonists. At one point, Robert gazes at people under a smoky neon-green light as he explains his relationship to his father to the couple. These visuals are repeated throughput the film, and they play a fundamental role in fleshing out our the creepy protagonist. Pinter’s script is deeply cinematic, in no way inferior to his other films. He’s now firmly established as one of the most influential British playwrights of the last century. The director Schrader, on the other hand, has often received a bum rap from film critics. At times, he deserved it, as with the disjointed and lame The Canyons (2013). This is not the case with The Comfort of Strangers, which is on a par with the Marxist masterpiece Blue Collar (1978), the exquisite horror Cat People (1982) and the reflection on existentialism First Reformed (2017). It’s lamentable that The Comfort of Strangers has been overlooked for nearly three decades, as it only achieved very limited distribution. Thankfully, the time to fix this has come. A dual-format reedition of the film is out on Monday, September 24th. The special features is a brand new commentary by Paul Schrader, recorded just last month exclusively for the BFI, and cinematographer Dante Spinotti has specially written a piece for the accompanying booklet. The year of 2018 marks the 10th anniversary of the death of Harold Pinter, one of the most important and influential British playwrights of the last century.